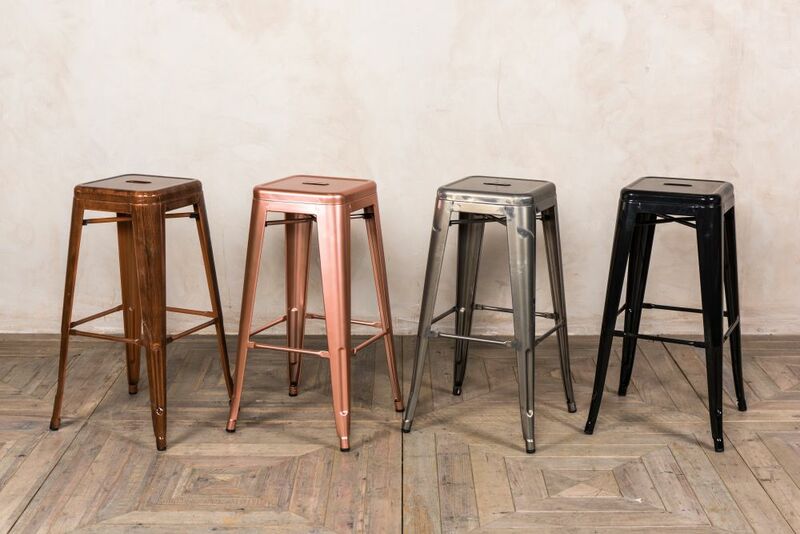 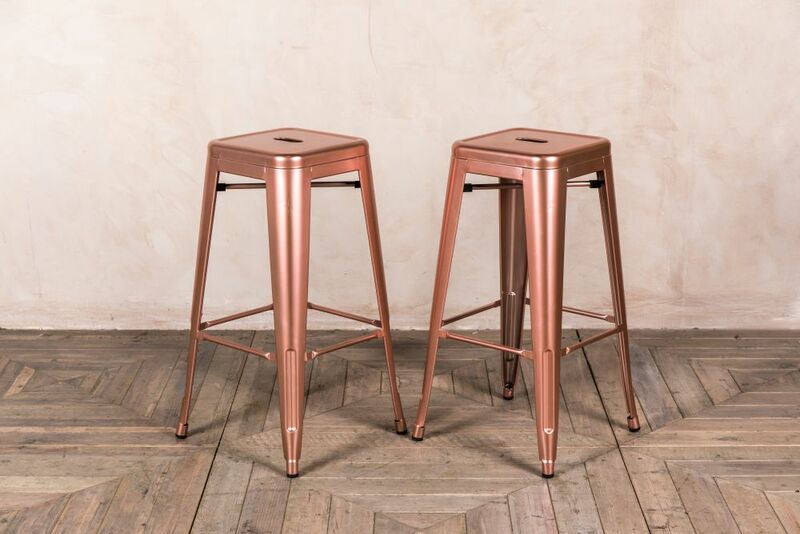 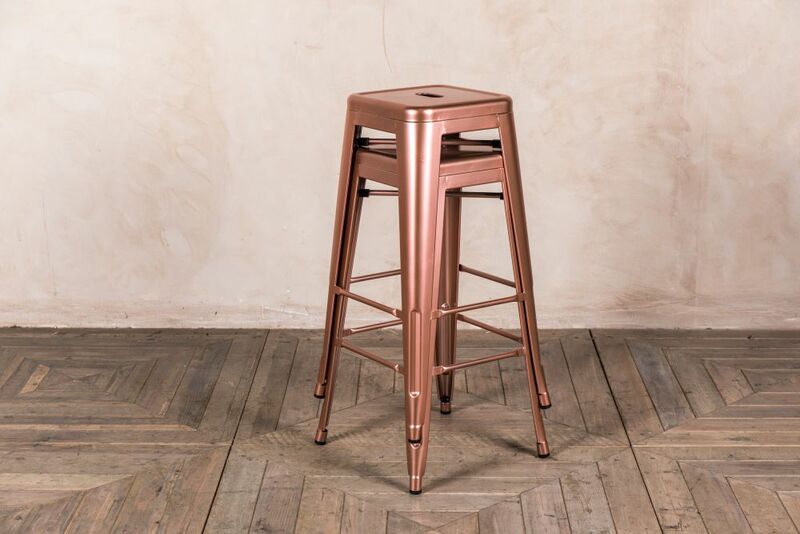 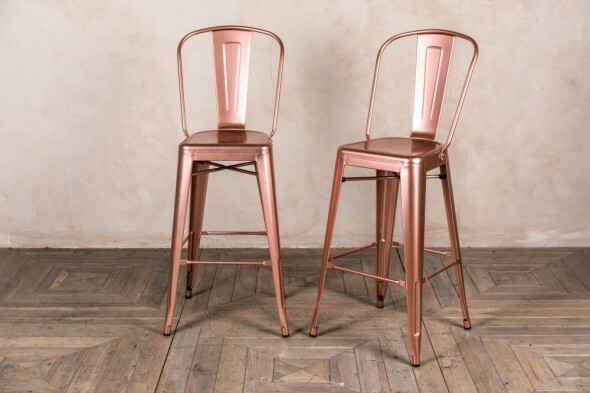 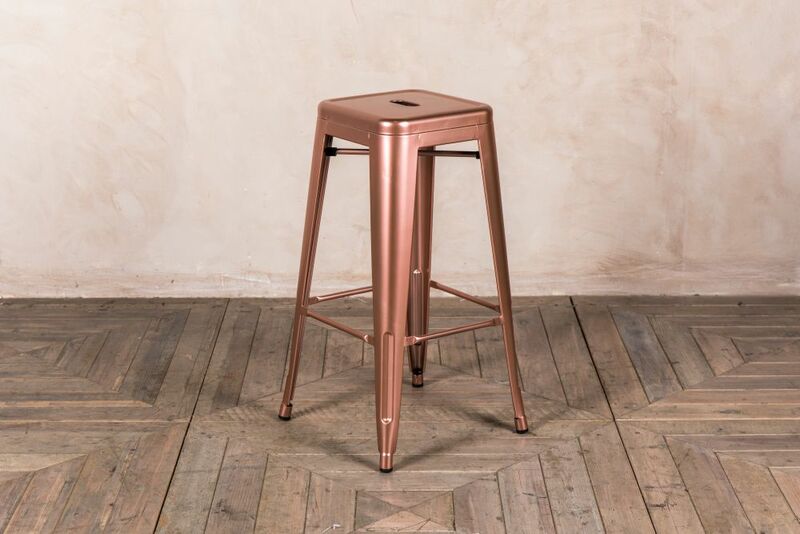 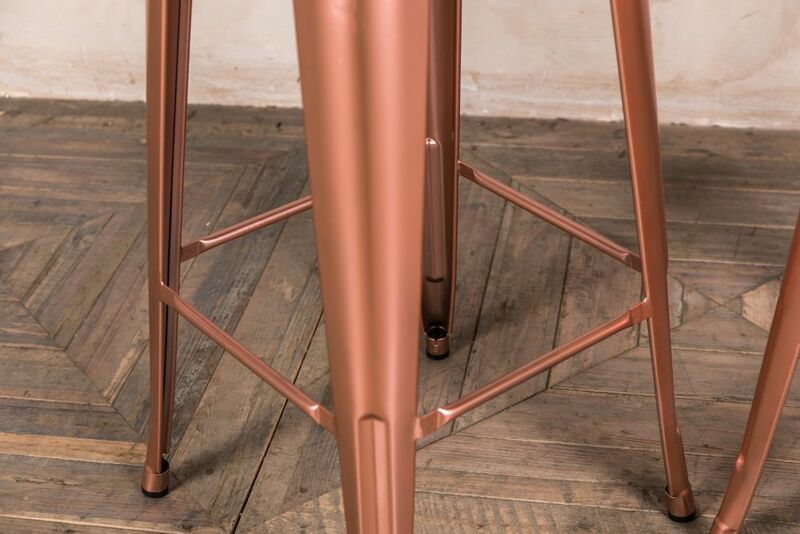 These gunmetal, black, vintage copper and bright copper coloured bar stools are the latest arrival to our ‘Tolix’ style furniture range. 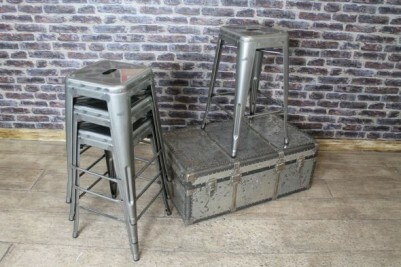 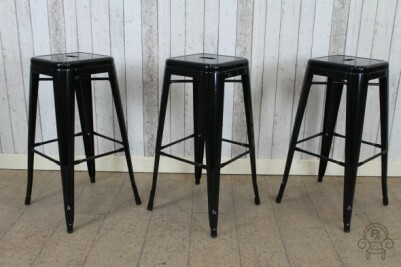 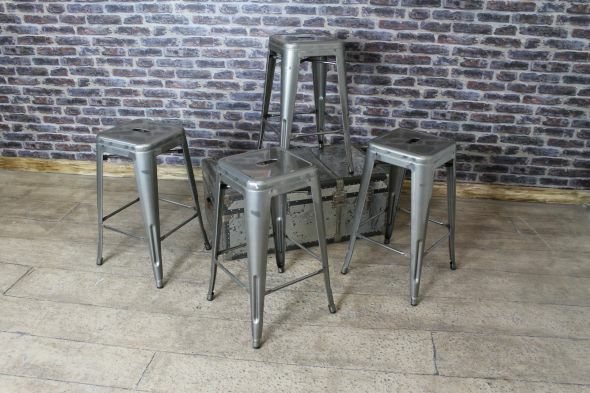 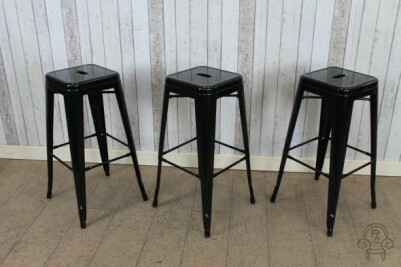 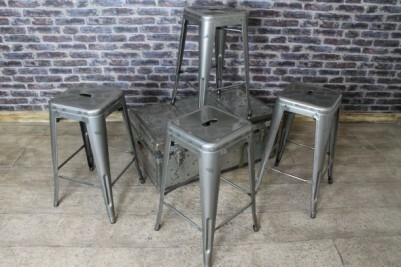 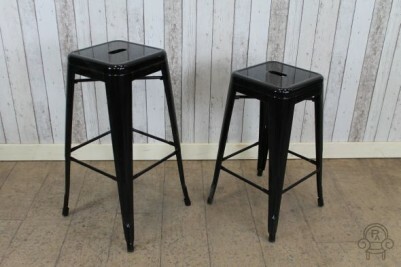 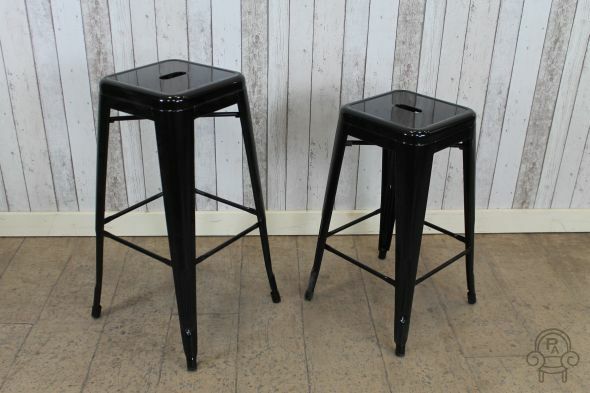 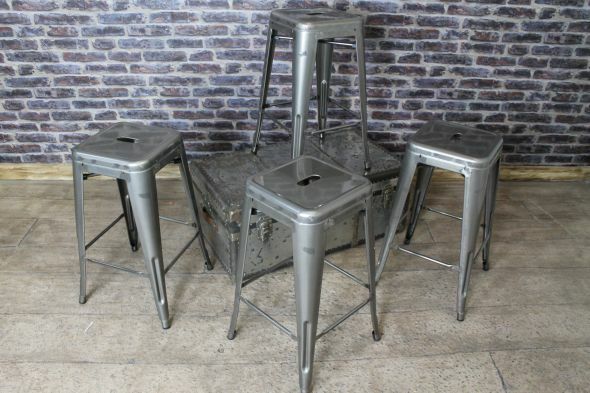 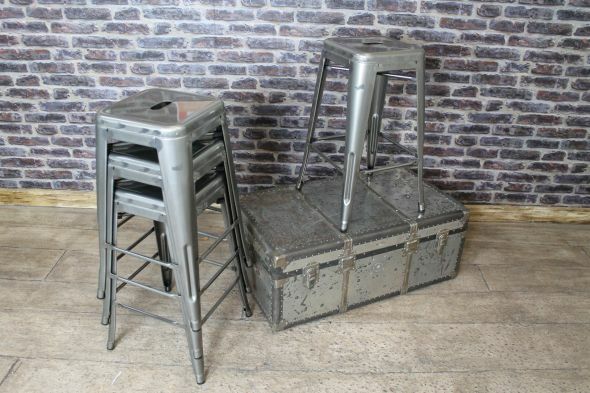 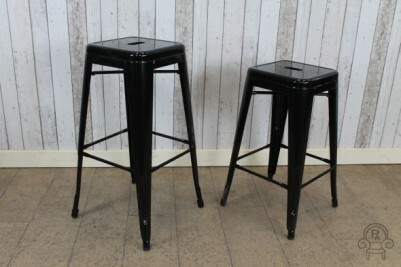 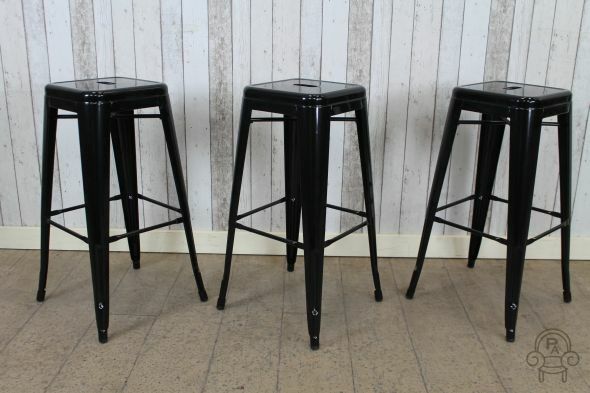 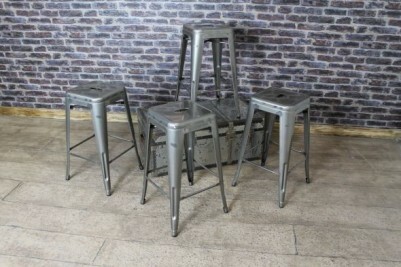 Adding an authentic industrial appearance to any interior, these metal stools have lots of character. 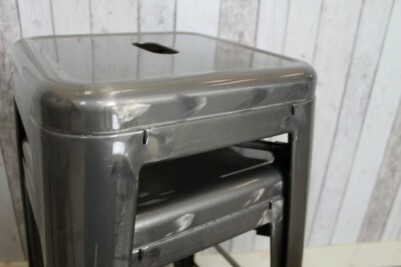 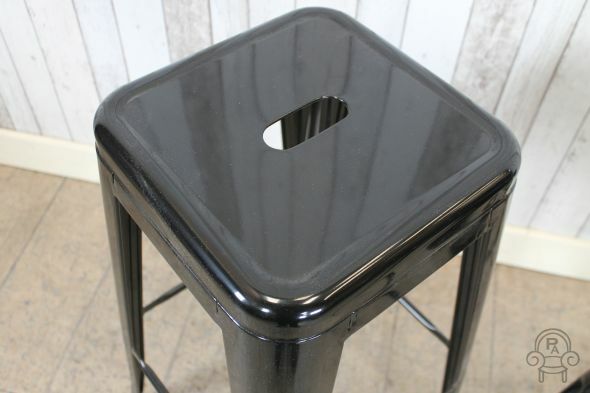 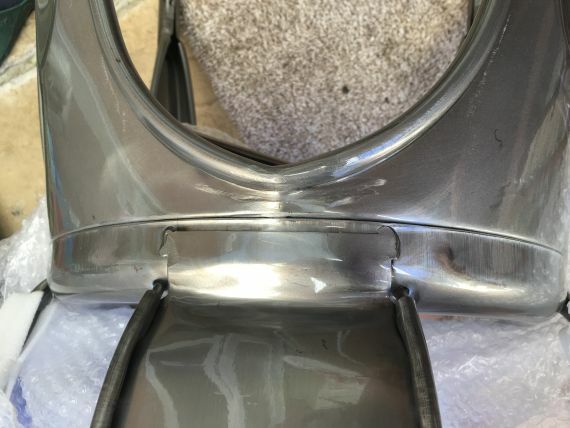 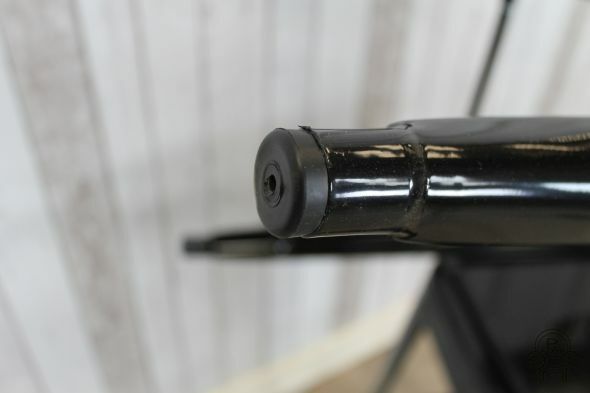 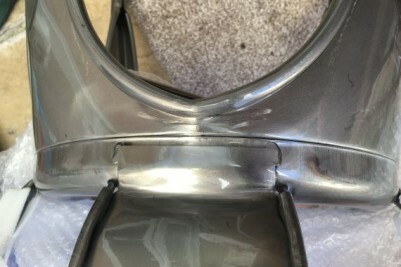 The stools are coated in a UV stabilised, powder-coated clear lacquer; this prevents fading, but we will not guarantee the items if used outside. 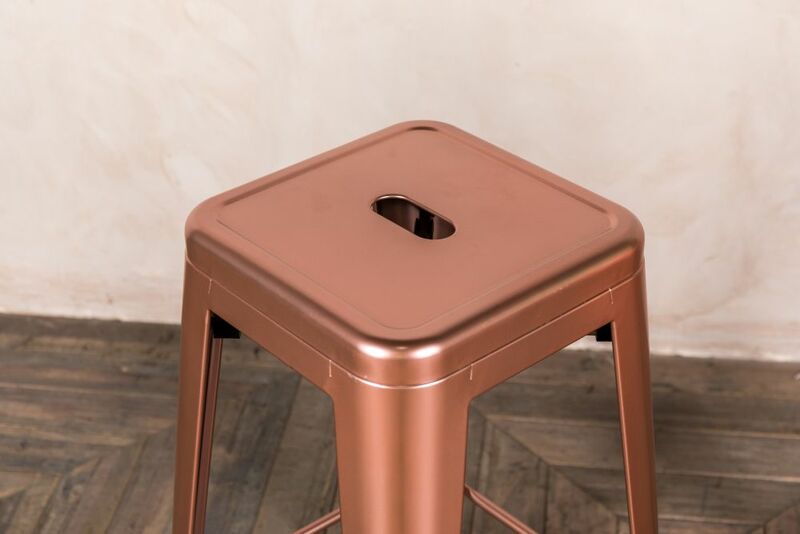 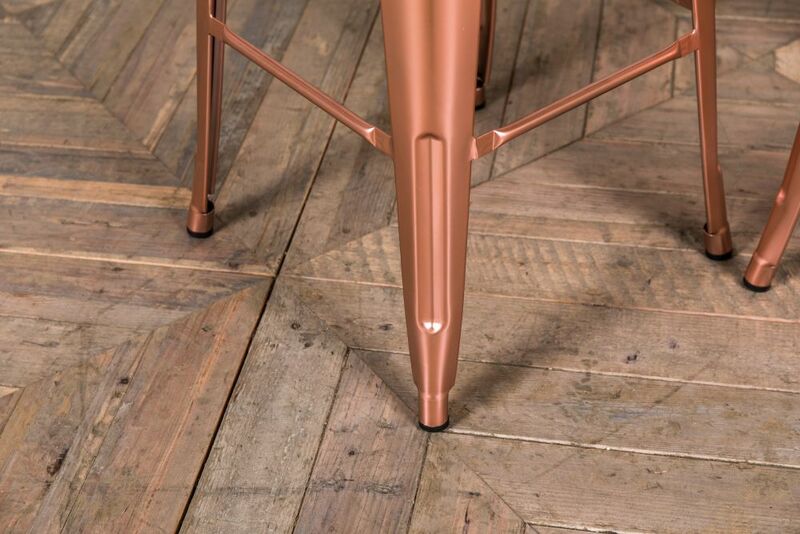 To achieve the authentic gunmetal colour, the stools are coated in a clear lacquer during the manufacturing process, which shows the natural steel underneath. 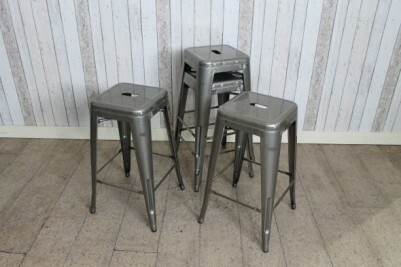 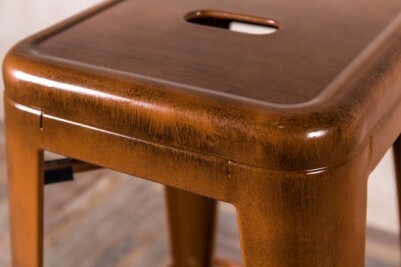 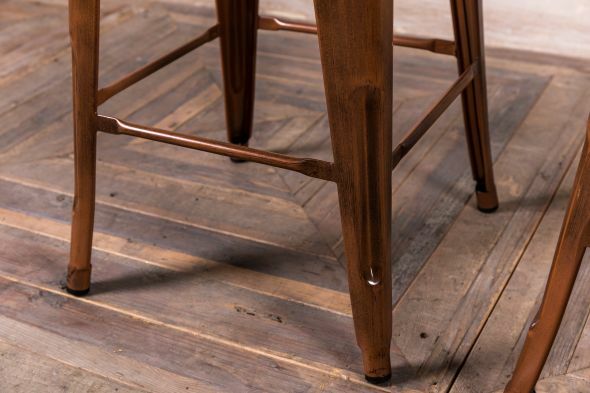 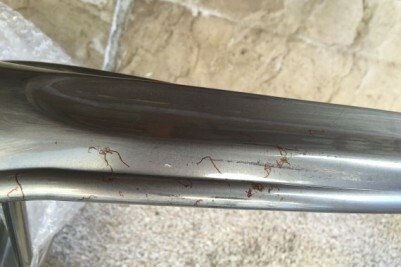 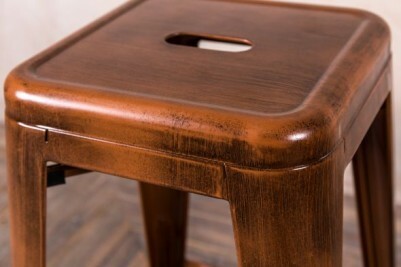 This means that some of these stools will have slight blemishes and marks, which can be seen in the gallery of photos. 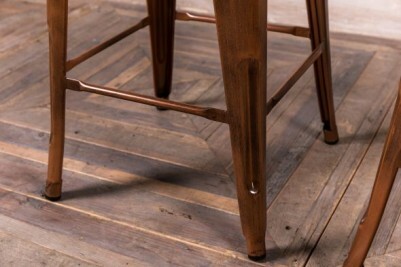 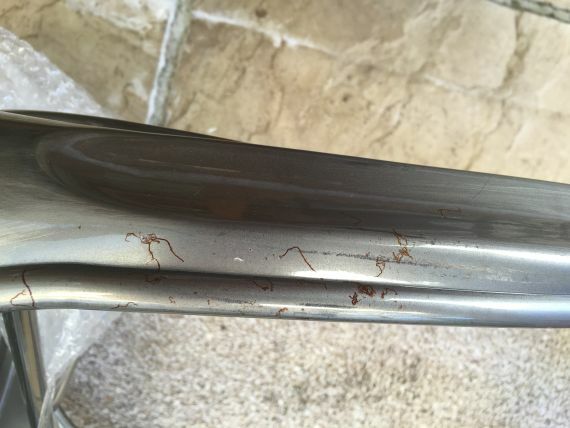 These marks only add further to their much sought-after industrial appearance. 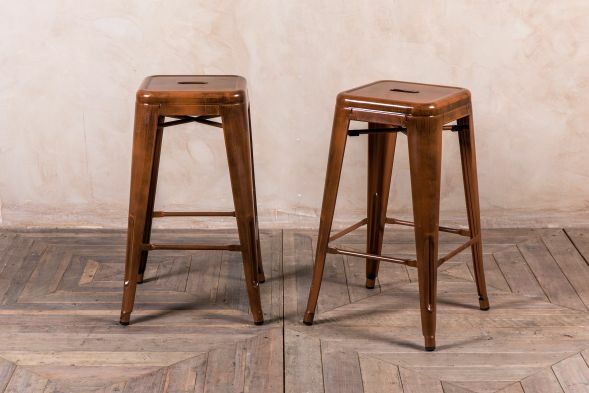 You can purchase these stools in two heights. 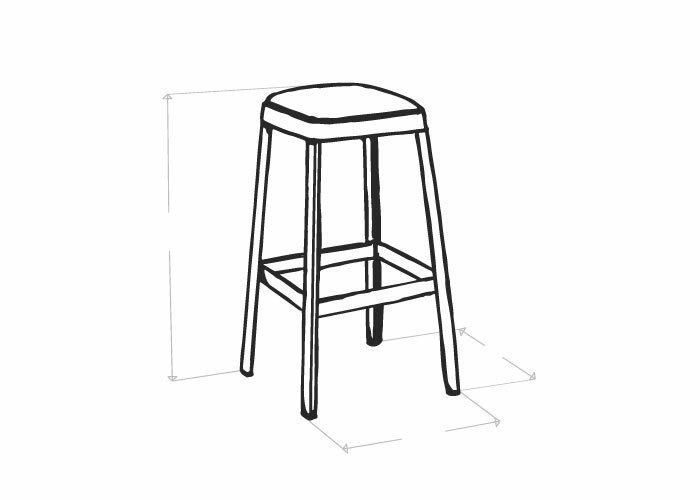 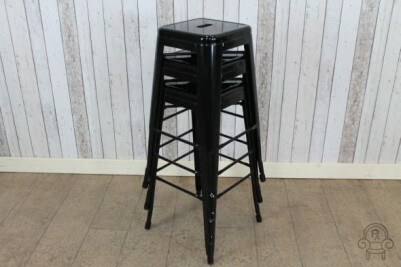 The lower stool is ideal for kitchen breakfast bars and the taller stool would be great for bars or poseur tables. 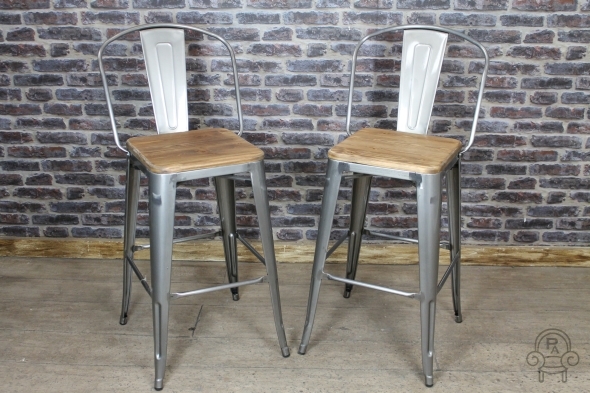 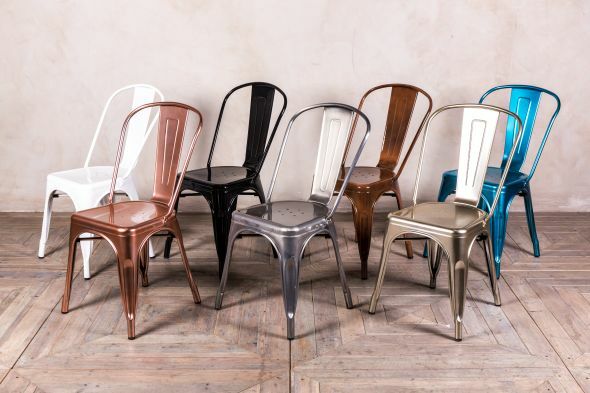 We have a large range of matching items available, including 'Tolix' style chairs, and stools with backrests. 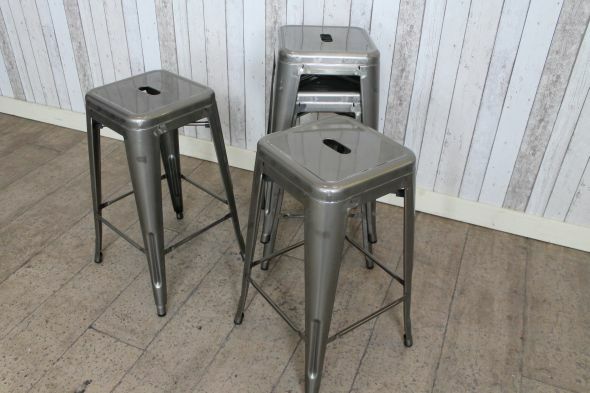 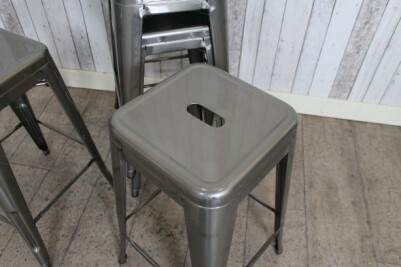 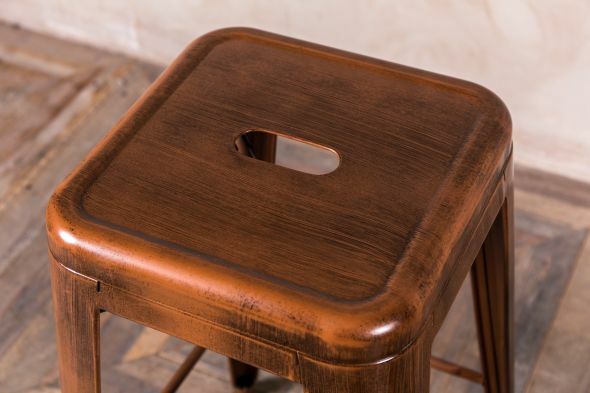 These bar stools are priced individually, but can be purchased in larger quantities.